Chuck Bean is New England to the core. The son of a farmer, Chuck grew up in Westwood, Massachusetts. He worked on the family business from sunup to sundown. Later, he painted houses, managed bars and ran a landscaping business. Great believers in the power of education, Chuck’s parents worked hard to give their sons more opportunities in life than they had. 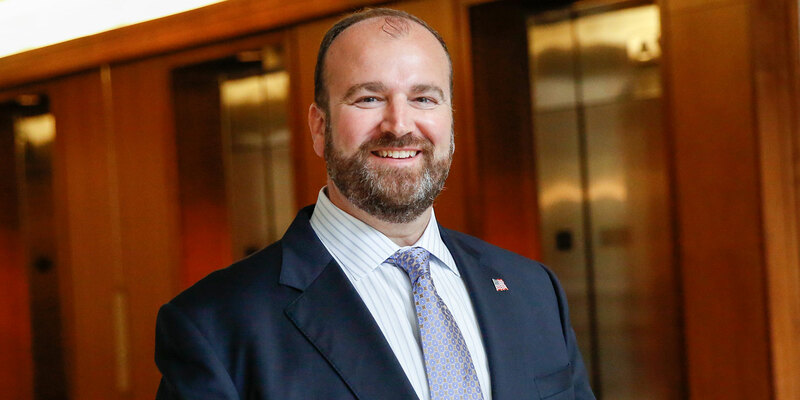 Chuck went to public schools, then completed a post-graduate year at Phillips Academy in Andover and graduated from Boston College in 1990 with a degree in finance. Founder Chuck Bean explains how our rigorous approach to wealth management can transform your financial life. After college, Chuck entered a profession that combined two of his passions – finance and helping people. He sold insurance and investments for John Hancock Financial Services, methodically cold-calling prospects for two years to build his client base. In 1995, Chuck’s entrepreneurial calling led him to establish Heritage Financial Services in affiliation with independent broker-dealer Commonwealth Financial Network. In 2000, Chuck restructured Heritage as an independent investment advisor, to ensure his clients’ interests would always come first. True to his original vision, Chuck remains hands-on in all facets of the Heritage business. In addition to his executive management duties, he serves as senior wealth manager to a handful of the firm’s top clients. He takes a lead role in bringing new clients to the firm. He also helps hand-select Heritage team members. Chuck contributes his energy and talents to the community, too. He volunteers on local boards and mentors students. He’s founder and president of the Boston Benefits Foundation, and a member of the Board of Trustees of the New England Chapter of the National Multiple Sclerosis Society. Chuck and his wife Kerri have four children. One of Chuck’s joys is coaching his kids’ sports teams. Hey, I found this information for you: "Charles Bean, III". Here is the website link: https://heritagefinancial.net/who-we-are/charles-bean-iii/. Thank you.